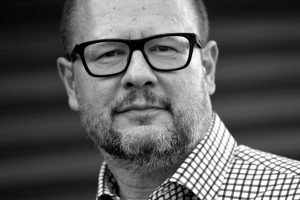 Sefton Council will hold a minute’s silence to mark the passing of the Mayor of Gdansk, Pawel Adamowicz. The borough has close links with Gdansk, having been proudly twinned with the Polish city since 1993 as a result of partnership work by the Anglo-Polish Society in Southport. A letter of condolence on behalf of the Mayor’s Office, the Leader of Sefton Council and Sefton’s Chief Executive has been sent to Mayor Adamowicz’s family ahead of a minute’s silence at the next full meeting of Sefton Council. Mayor of Sefton, Cllr Dave Robinson, said: “The passing of Mayor Adamowicz is a terrible tragedy and my sincerest condolences go out to his family at this heartbreaking time. “It is clear to see from the outpouring of grief that Mayor Adamowicz was an incredibly well liked member of his city and I have written to his office in Gdansk on behalf of myself and the leader of the Council to express our heartfelt sorrow for his passing. “As Mayor Of Sefton, I have been proud to work closely with members of our fantastic Polish community to uphold the ongoing relationship with our twin city. The minute’s silence will take place prior to the start of Sefton Council’s full council meeting on Thursday, January 24 at Bootle Town Hall from 6.30pm.